Un caffè latte per favore ... ...: Samson fought the fence and ... well, Samson won! by the time I get home tonight I will be just as dark so no better for trying to get a good shot. Haha! I hope he didn't escape though!? 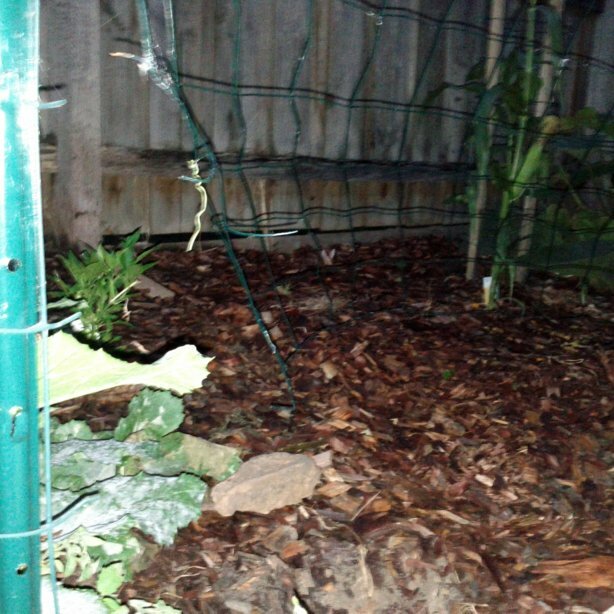 No, thankfully this was just the fence between our yard and one of the veggie gardens not between the yard and outside. I'm pretty sure the possum that came to munch on our cucumber got the fright of its life and will not be coming back! Oh, good to hear! Yes, it sounds like you'll have your cucumbers all to yourself from now on! Oh dear. A dog on a mission! 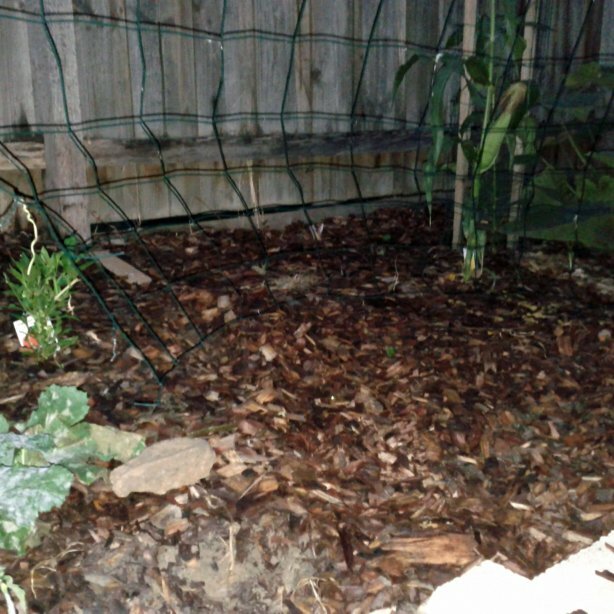 The never-ending battle with possums... I can relate. They're lucky they're so cute. 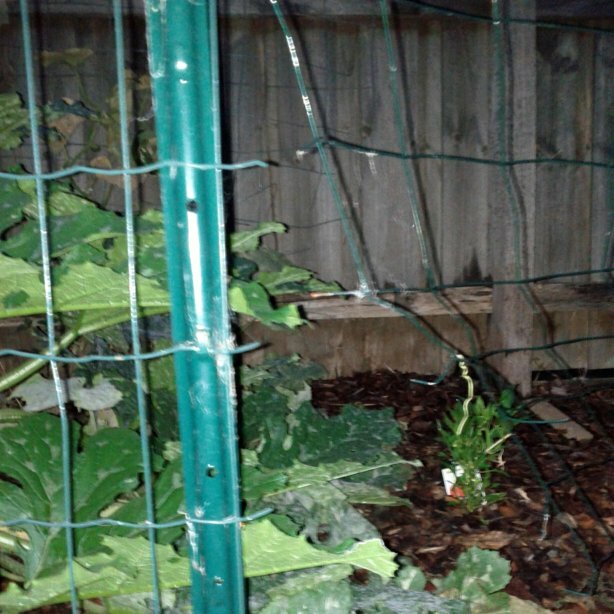 Up until a few weeks ago as long as the dogs were outside we didn't have a problem ... but then the cheeky things worked out how to get into the veggie patch without the dogs hearing them, which was all well and good for them (not so good for our cucumbers) until this happened. It's been pretty quiet out there again since so I think a lesson was learnt!